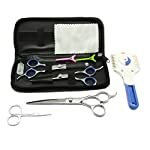 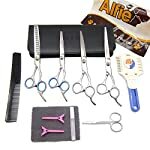 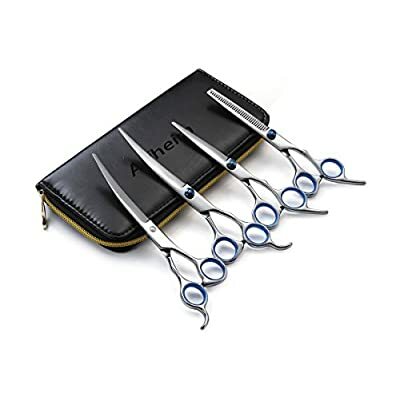 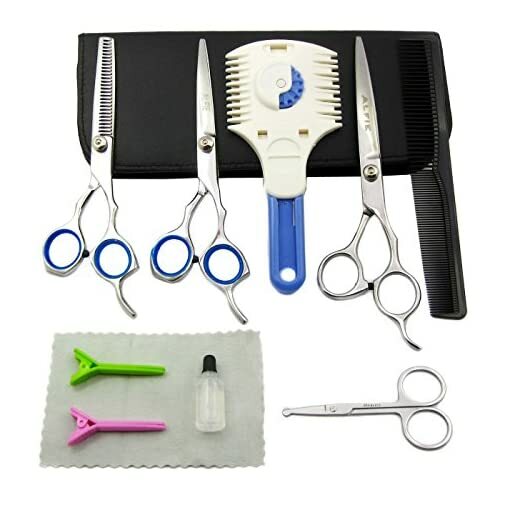 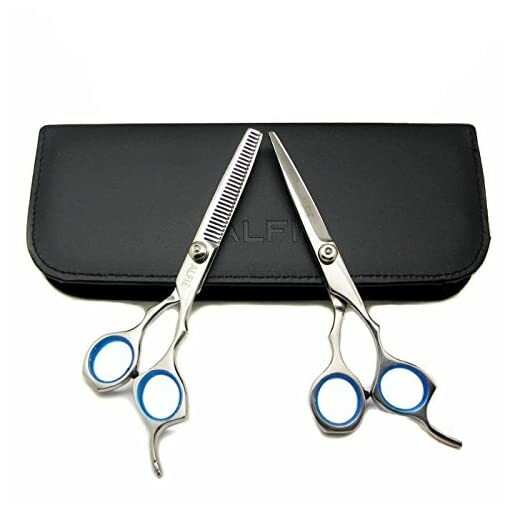 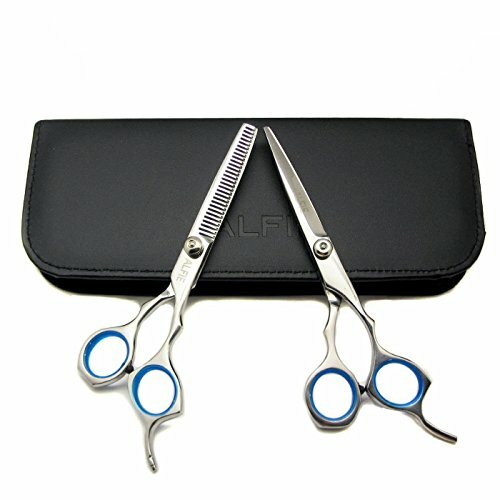 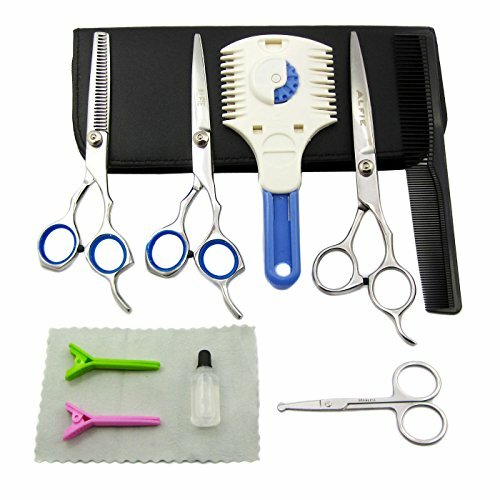 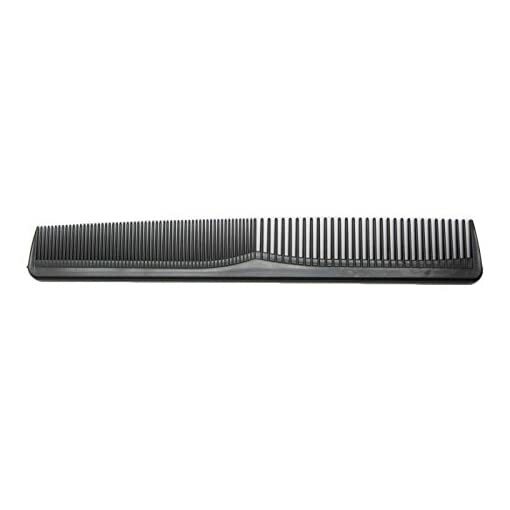 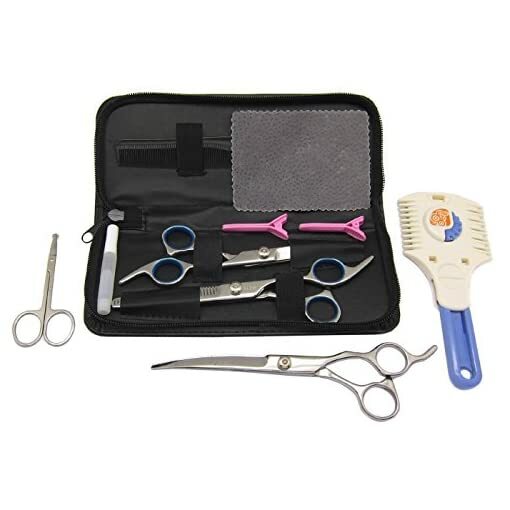 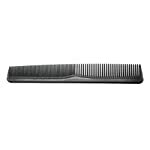 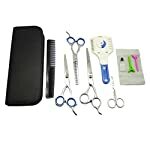 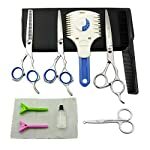 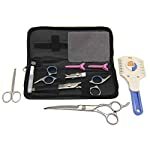 This 10-piece Grooming Kit includes 7-inch Downward Curved Shear, 6-inch Stainless Steel Cutting Shear, 6-inch 26-tooth Thinning Shear, 3.5-inch Round-Tip Trimming Scissors, Razor Grooming Trimmer, 7.5-inch Pet Grooming Comb, two Hair Clips, Scissorss Lubricant, Leather Cleaning Cloth and Leather Travel Case. 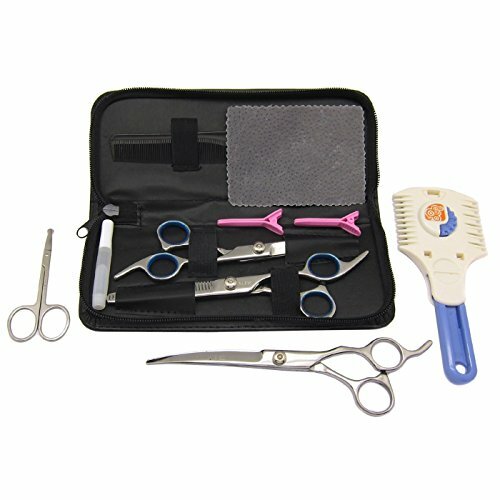 Components of this grooming kit retail for $74.97 if purchase separately. 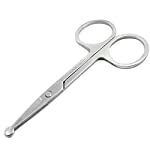 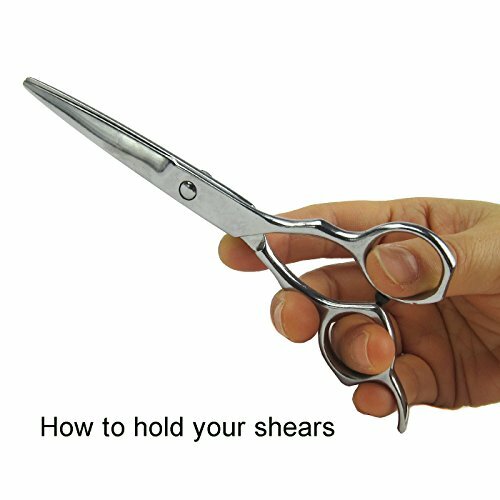 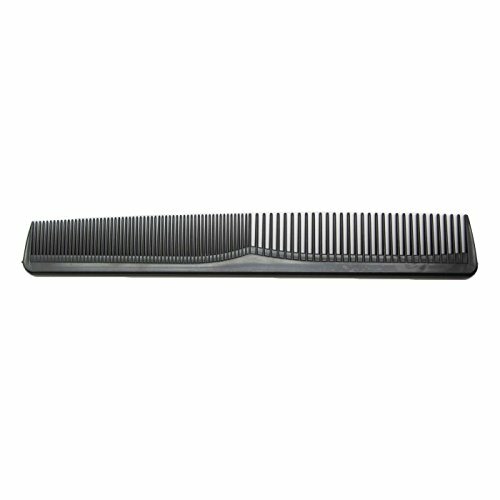 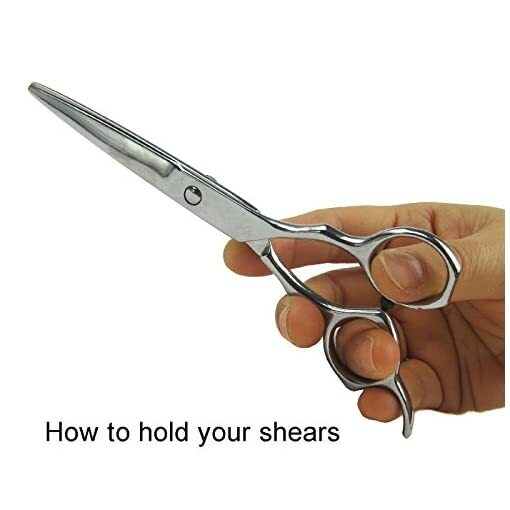 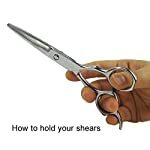 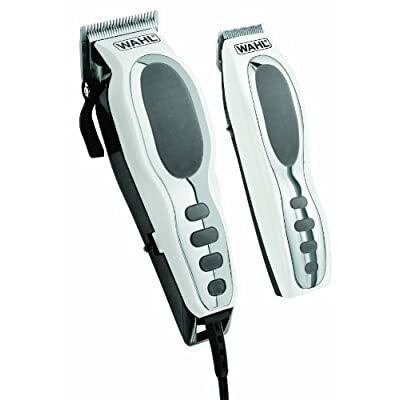 Cutting Shear and Thinning Shear are constructed of stainless steel and come with finger-rest for extra control and comfort. 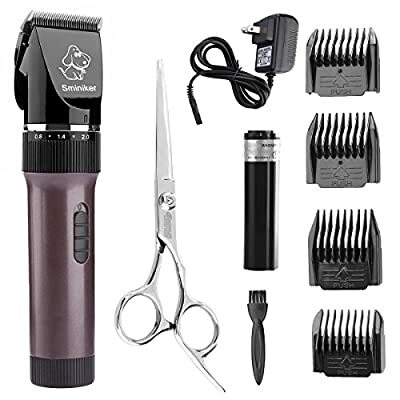 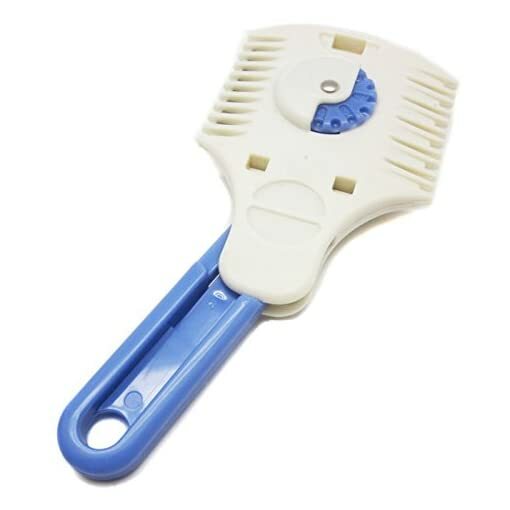 The included Pet Razor Grooming Trimmer gives you a convenient groom in minutes by simply combing the trimmer through your pet’s hair.